All-Flash storage is booming even as the overall storage market cools off. Before they make the leap, however, many storage professionals want to understand the full business picture as they formulate a winning strategy for putting All-Flash storage to use for more workloads. 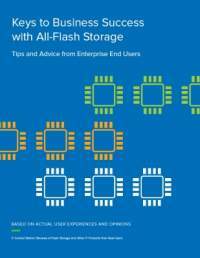 Based on reviews of real users, this IT Central Station paper provides insights on how to get the most out of All-Flash storage.